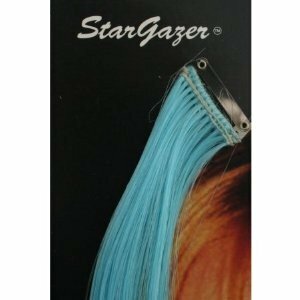 Stargazer baby hair extensions come in 12 fabulous colours which means you can mix and match and create some awesome styles. As you can wash and brush these extensions you can use them over and over, they can also be dried on the lowest heat using diffuser. Applied with ease these synthetic hair pieces are 18” long and can be cut to whichever length you want to match your desired style. You can find full instructions to the rear of the packaging. Try these with stargazer neon pressed powder to create awesome results.